Jordan’s boss, Jude Murray of Kiwi Hifi had his birthday today. To show their gratitude for all that Jude has done for them, and for the wonderful boss that he has been, Jordan’s wife (yours truly) decided that a little token of appreciation was in order, in edible form. 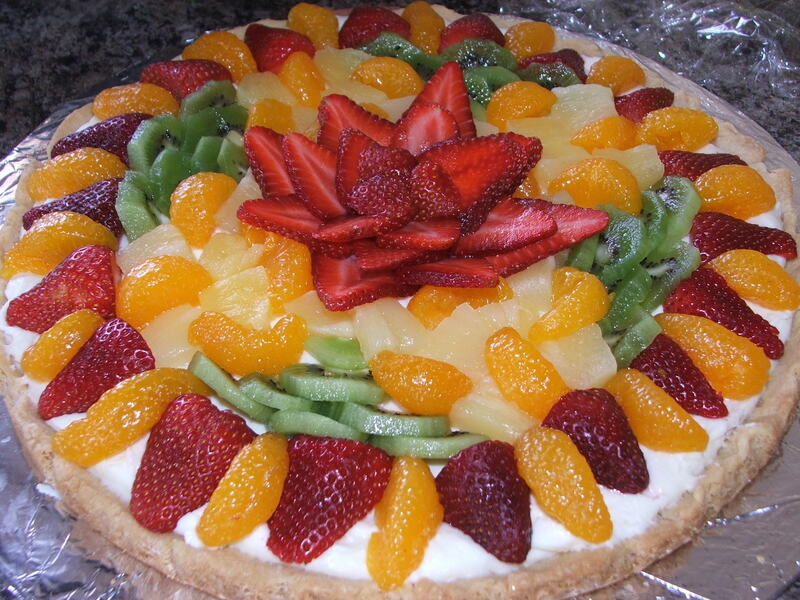 In other words, I made a fruit tart for Jordan’s boss’s birthday. 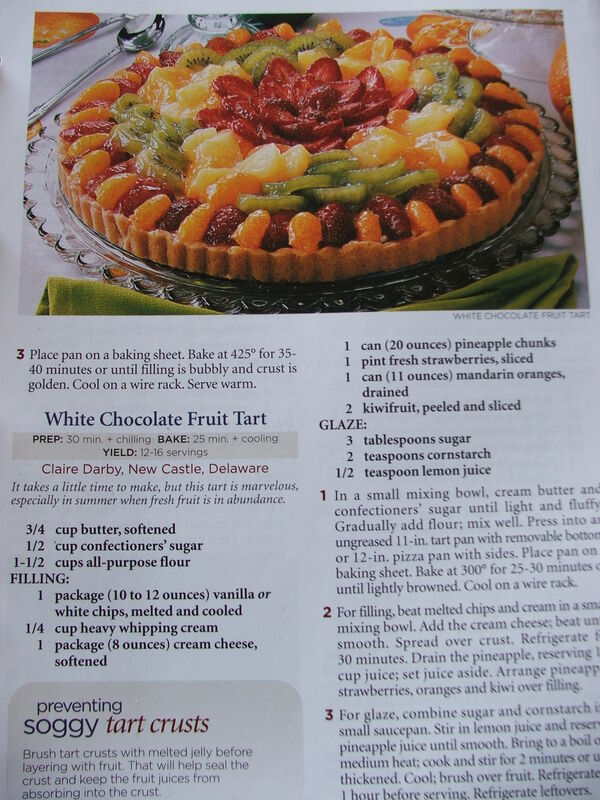 He loves fruit, and while paging through a recipe book, Jordan and I stumbled on a delightful creation called a White Chocolate Fruit Tart. 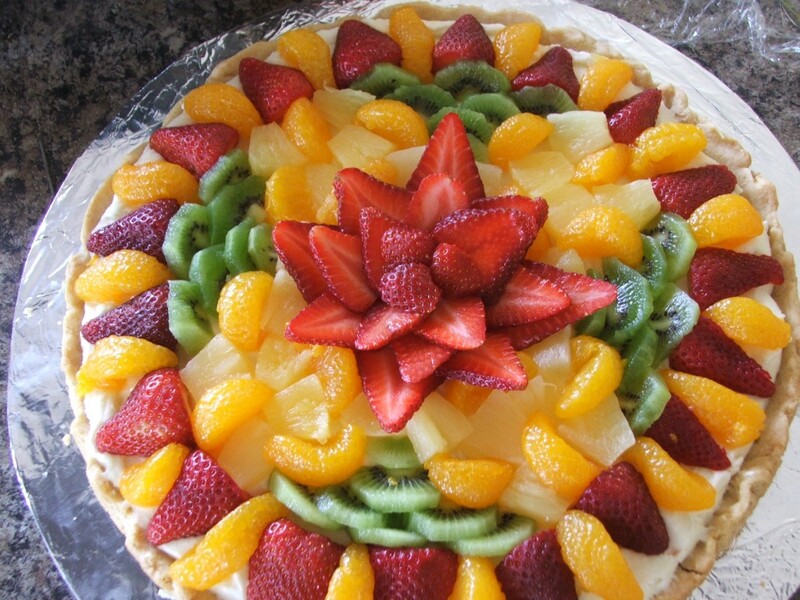 So, the morning of I was up placing fresh fruit on a baked shell that had been filled with the white chocolate filling. 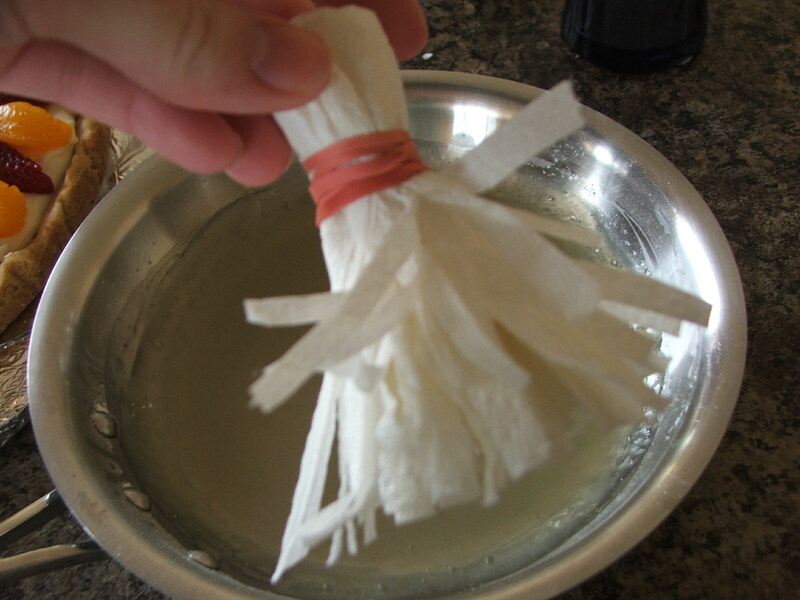 I didn’t have a pastry brush at the time, so I had to make do with a cut up paper towel. And…here was the finished product! Ask Jordan or my Mom…I don’t follow recipes well. Anyways…it was a success. Everyone liked it. Jude was named 2012 Boss of the Year by the guys. Appropriately so. Thank you Jude, for all that you have done for Jordan, Austin and Zachary. You have been a real blessing.